Now on with the tangle pattern. I had fun with this one…it’s called Sssnake and is supposed to resemble snake skin. I don’t care much for the actual creature, but even I can appreciate the glorious colors and patterns that snakes have. 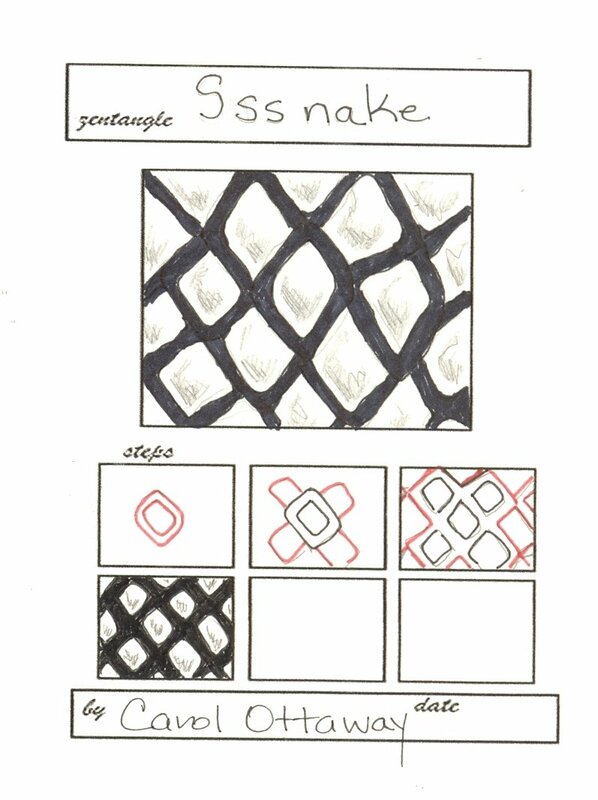 I hope you like it and will incorporate them into your own Zentangles. 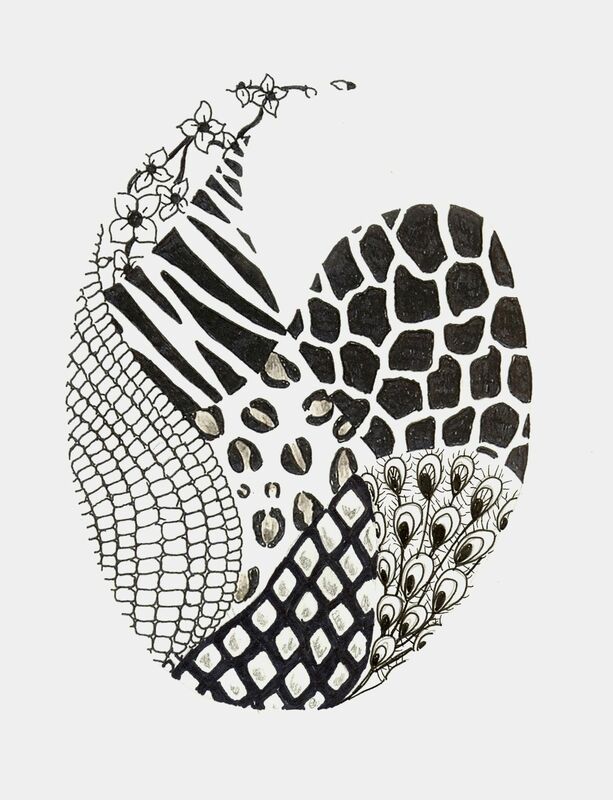 Below is the snake pattern in my Into the Wild zentangle.